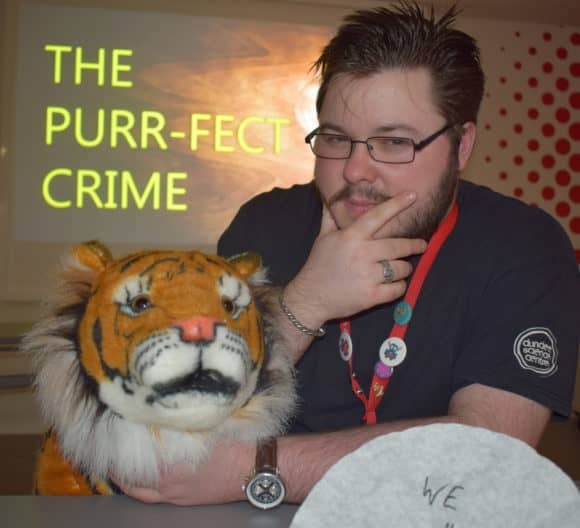 Grainger Public Relations » The Purr-Fect Crime! ‘The Purr-fect Crime’, which runs until Sunday 30 June 2019, will give visitors the chance to take on the role of a forensic scientist, examining and preserving evidence. They will also learn how to identify mysterious powders and samples found at mock crime scenes using everyday, household objects like lemon, vinegar and toothpaste. Visitors will also get the chance, through a fun and ‘ink-redible’ game, to explore the science of chromatography, identifying which ink stains come from different pens and therefore helping eliminate (or catch!) potential criminals. Grant Carpenter, Exhibition and Community Engagement Officer said, “As we know, crime scenes need to be preserved as much as possible so that no evidence is destroyed, but what sort of things could become crucial pieces of evidence? The 20 minute family show, which will run regularly throughout the day, is included as part of normal admission.